Curly Girl Specialist on Board! 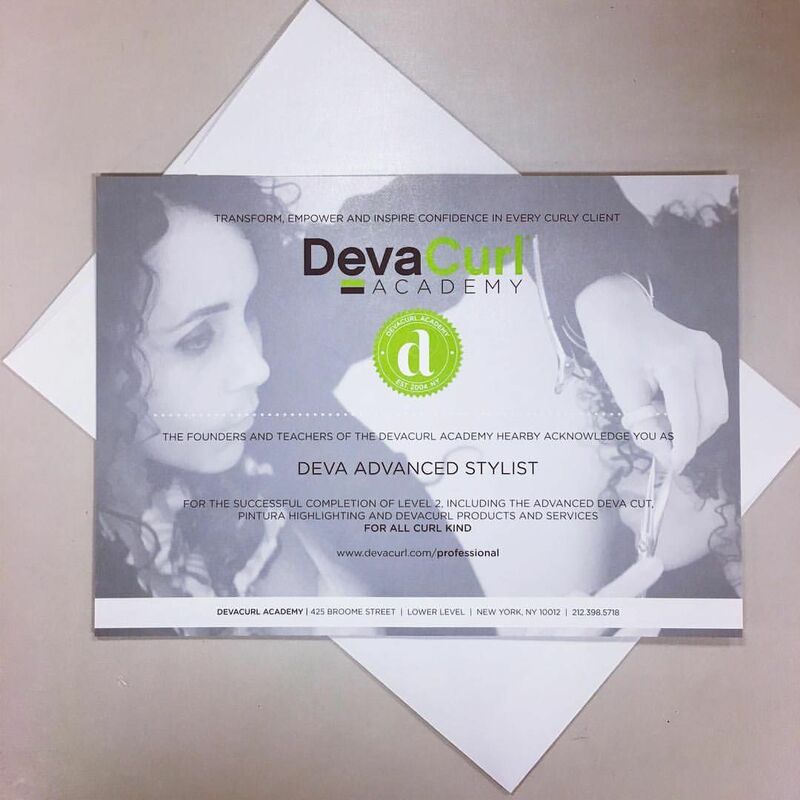 La Salon Bianca is proud to announce we now have 3 Advanced Devacurl Stylists in the salon! Our stylist Samantha, our Master Stylist Nick, and Owner/Master Stylist Kristina just returned from an intense 3 day course at the flagship Devacurl Academy in Soho NYC! Devacurl is specialized cutting and coloring techniques for textured hair ranging from light waves to super curly hair! Stop in or give us a call today and have your curls transformed and your morning routine simplified! Congratulations Sam, Nick and Kristina!